Posts | ATX Dreaming Studios | An Army Veteran who has made his home in Austin to help musicians realize their dreams of achieving their perfect sound. This is an attempt to connect with other Drummers out there that struggle to find the zen like concentration necessary to practice their craft. When it comes to practicing the drums it’s hard to find the time and space needed to concentrate. With an organized schedule of shared duties picking up kids, going to class and work, the time I have to play is savored. My drum kit is located in the garage so after finding a great groove and sticking with it for a few measures I have a 4 year old that comes up needing help tying his shoe so he can continue chasing his brother in the driveway. Of course, I wouldn’t trade these so called distractions for the world. Nevertheless, it is hard to fully commit myself to practicing sometimes. In an attempt to cheer me up (and save her eardrums) Hayley found an amazing rentable rehearsal space for musicians here in Austin. WaveFormAustin is a savior. Not only is it inexpensive, coming in at $9 for an hour in the drum room, but it is also well maintained and clean. I have my first booked session tomorrow and I can’t wait to get some alone time with the kit. I will definitely let you guys know how it goes and will post a video of a couple new beats I plan to try out. Check out WaveFormAustin’s website for more information. Check out our pictures, reviews, membership options, and online scheduling. Until next time… Keep music alive and keep dreaming! I started drumming when I was 11 with just a pair of sticks (didn’t get the kit till I was 12), which as you can probably guess, was before the creation of Youtube. I found myself trying to see drummers anyway that I could, whether it was VHS tapes of drummers ordered from the backs of magazines or begging my Dad to take me to concerts (which didn’t happen too often at that age). A memorable quote I think of is by Keith Moon who said, “I told people I was a drummer before I even had a set, I was a mental drummer.” It’s so true for those of us who had to imagine how to be a good drummer without examples readily available to us or the tools in which to practice. Now that I am raising little drumming humans I have come to realize the reality of this future world we live in. I feel like my boys will surpass me in skill before I know it, based simply on their ease of access to drum content. Hailing from Brisbane, this Aussie has crazy energy and plays amazing Electro Drum-n-Bass covers that always get my head bobbing and can throw down hard on heavier tracks as well. His double hi-hat style impresses me to no end. This quote from his Facebook page speaks volumes about why he made this list. First off, this dude is crazy talented. Period. He plays for a band called The Word Alive and his drum covers are some of my very favorite on the internet. The content that he puts on his Youtube channel are always entertaining and super high quality thanks to Jeremy Tremp Pictures – http://www.jeremytremp.com/ – who takes the production of drum videos to a whole ‘nother level. A truly gifted drummer, he is an incredible teacher and a true innovator in the world of modern day drumming. He is the percussion section for one of my favorite prog metal bands of all time, Animals As Leaders. His Youtube Channel is curated with content of him actually teaching how to play his beats which seem impossible to the naked ear. Most of his best drum videos, however, can be found on MEINL Cymbals channel. His style is inspiring and motivates me to be a better drummer everyday. Matt is definitely one of my favorite drummers! Finally, my top pick for Must Follow Drummers on Youtube. He is one of the all time greats. Let me just say that if you are a drummer and want to learn the ways to take your drumming to the next level then you absolutely HAVE to watch/listen/absorb Benny Greb. His DVD ‘The Art&Science of the Groove’ is definitely on my Christmas wish list. Possibly my favorite drummer, this guy is a true visionary and plays the gamut of musical genres from Rock to Jazz Fusion. He is always posting great content and is an amazing educator. I hope you enjoyed this list! There were definitely some honorable mentions since I only decided to choose five but I will save that for another night. I would love to hear from ya’ll about who is on your list so make sure to comment! As always Keep Music Alive and Keep Dreaming! When Halloween comes around I can honestly say that I get a bit giddy. I’m not going to lie to you, I LOVE HORROR MOVIES and getting into the Halloween spirit… and despite Hayley’s best efforts (not her favorite genre aisle in a Blockbuster if you know what I’m saying;), CJ and Hayden are super into spooky cartoons including retro episodes of Scooby-Doo. 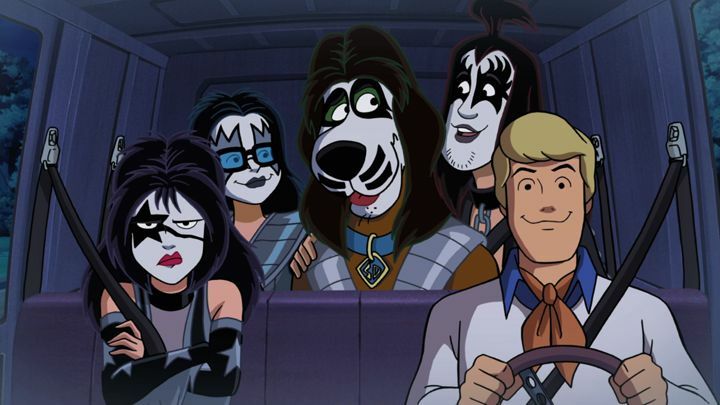 Among the songs in the list are no-brainers such as Thriller by Michael Jackson, newer hits like Nightmare by Avenged Sevenfold and old favorites like the Monster Mash by Bobby “Boris” Pickett. 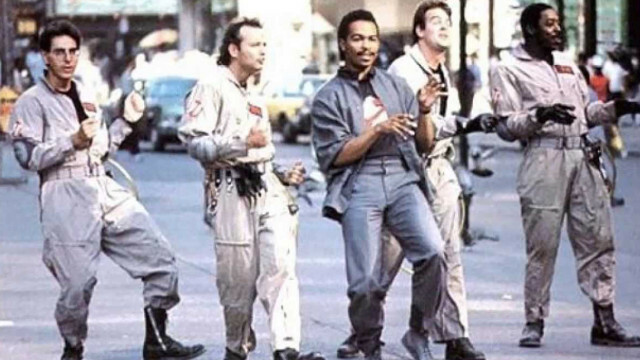 It even had one of my all time favorite scary songs on the list- The Ghostbusters Theme by Ray Parker Jr. 100% my favorite movie growing up. An essential song that brings back memories of my parents and childhood Halloweens is Werewolves of London by Warren Zevon. What are some of your most recent made playlists? Or share some other essential songs for the ultimate Halloween playlist. My last addition was One by Metallica because what’s scary than total isolation…(snuck a deep thought in before the end). As always, thanks for reading! Until next time: Keep Music Alive and Keep Dreaming! The year was 1998 and it was Christmas morning. The year prior I had run the gamut of things to try in order to get a drum-set from my parents. Good grades, chores, taking care of little sister, etc… Of course, my parents had their apprehensions. They got me a little acoustic guitar the Christmas before and I gave up playing it. My heart just simply wasn’t in it. I was a drummer and I knew it in my heart. Like every Christmas before, it was a special morning. My parents were groggy drinking coffee and the kids were giddy with excitement as they opened their presents. After all the presents had been opened and there was no sign of a drum-kit I was disappointed, to say the least. About an hour went by and my Dad tells me to take some chairs down to the basement. As I turned the corner off the stairs I saw it; a giant box with black letters that read TAMA! I couldn’t believe it! I was beyond ecstatic and after showing appreciation and gratitude to my parents, I spent the whole day putting it together; meticulously tightening every screw and tuning every head. That day was the start of my love affair with music and everything about it. When someone asks me what kind of music I listen to, I always have the same cliché response which is, “I listen to all kinds”. I love all genres of music, including the ones that are hard to listen to (ex. Dillinger Escape Plan). I respect the effort and talent that goes into every aspect of making music. It is the one thing in this world that can bring people together in happiness without any adverse effects (well, maybe slight hearing loss). In sticking with my belief that all music should be treated as equal, I came across an article which frustrated me to no end. In the article stated that Metallica could potentially be the new Super Bowl Halftime act, or, it could be Bruno Mars, AGAIN (he did it in 2014). Personally, I think we should spread the love and give another genre of music a chance to shine; but that’s just me. If you would like to vote to have Metallica perform, you can go to this link and sign the petition. Anyways, back to the story. Skip ahead a few years and I am now out of the Army. I’m happily married to my wife of five years and I have two sons, ages four and two. I moved my family to Austin to be closer to the music scene and it just so happens to be a place where I can have a tech job on the side to pay the bills. I am also going to school at night for my degree in Music Business, Performance and Technology. My dream is to open a recording studio that doesn’t discriminate against genres of music. 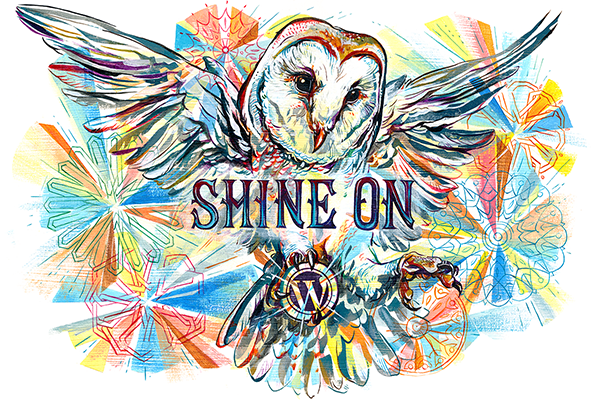 A place that provides opportunities to down and out Veterans and has the absolute best reputation for treating artists with respect. I want to be able to help artists realize their dreams in their music. I want to capture the quality of their sounds and uniqueness of their character. I want to be a producer that approaches projects with honesty, integrity and grit. Mutual respect between a producer and an artist is essential for making great music, and that is what I’m all about! This blog will document my journey and I hope to bring you along with me. I will be updating it regularly and posting pics and videos of me playing drums and goofing around with my boys. Until next post: Keep Music Alive and Keep Dreaming! This is my 2nd born, Hayden, sitting at the big kit. 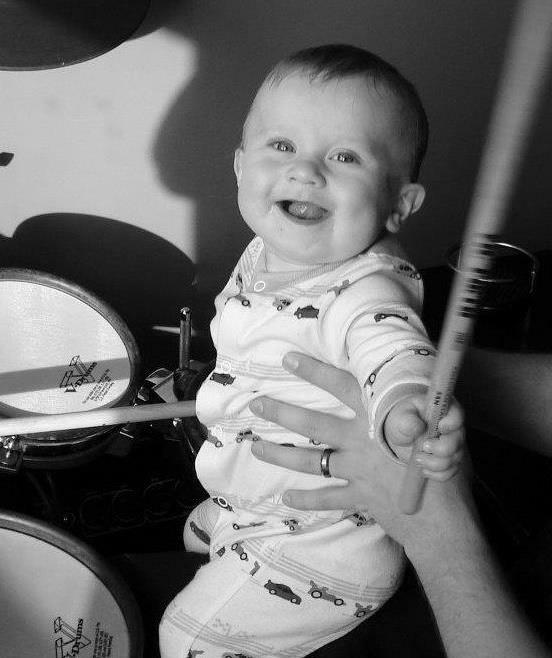 This is my 1st born, CJ, during his first drum lesson at 6 months old. ATX Dreaming Studios is my passion. It means a lot to me and I am working as hard as I can to see my dream come true. This dream is not only for me but also to build a legacy for my boys. My question to you is what is your passion and/or dream that you want to see realized? This blog will document my journey and I hope to bring you along. I will be updating it regularly and posting pics and videos of me playing drums and goofing around with my boys.